The Reunion Committee looked at suggestions offered over the past years as to what we should do for the 55th. We looked at cost, food and activities and hopefully a way to get more classmates to attend. We noticed that some may have paid twice for meals in the sense that they paid for a meal at the reunion, that they didn't eat for not being present because they had dinner with relatives/friends prior to the reunion or other reasons (strict diet, etc). Thus we decided to keep the food simple and easy and not tie people down. We kept the dress as casual (August can be extremely hot!!!). We didn't plan much for activities, maybe because age and/or health could be factors :). We just want people to come and enjoy themselves with "old" friends and classmates and reminiscense about the "Good Old Days!!!". We will do a mailing this winter(sometime in Jan/Feb) with the reunion information to everyone we have a mailing address for. Please share this information and the 55th Reunion information with all of your contacts. Thanks. 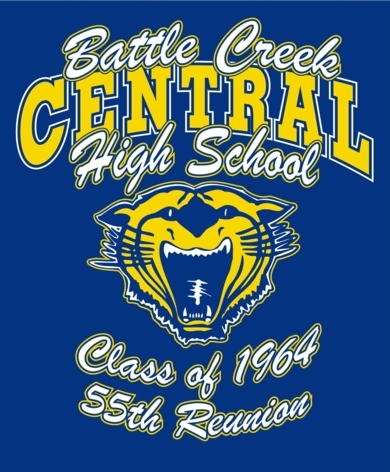 August 17, 2019 Reunion Time 6:00pm until ?????? If this is the first time you have been on this site or if you want to know how to join this site please click on the First Time Visitors on the left side of this page and follow the instructions. The 1964 PAEAN Yearbook has been added to the Home Page, so if you have lost, misplaced, damaged, etc, your yearbook, please enjoy this copy. As always please share this information with classmates you are in contact with. You can determine if a classmate is registered or NOT registered for this website by clicking on the "Classmate Profiles" link. That list includes all classmates except those who have expressed the wish to remain private. For registered or deceased, there is an icon (a flower, an American flag, a green check, etc.) next to their name. IF THERE IS NO ICON BESIDE THEIR NAME, THAT CLASSMATE IS NOT REGISTERED! You may be the only person who can convince a classmate to join!